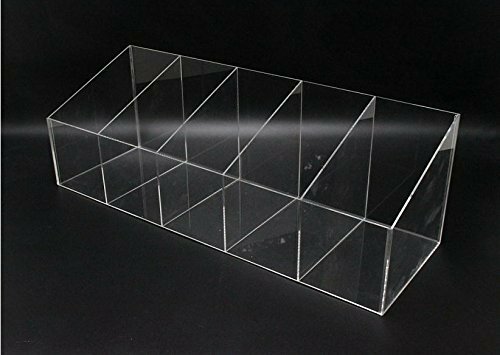 This countertop plaxiglass acrylic bin with removable partitions which make suit to the size of your products and is a great Point of Sales display for your food or other products. Dimensions: 8" H x 24" W x 8" D; Compartment size" 4.7" wide x 7.8" deep x 5-8" tall. Made from quality clear plexiglass acrylic lucite material 3mm (1/8") thick. Compartment size" 4.7" wide x 7.8" deep x 5-8" tall.